Ready for a styling session with CUTCUUTUR aka everything laser - cut. 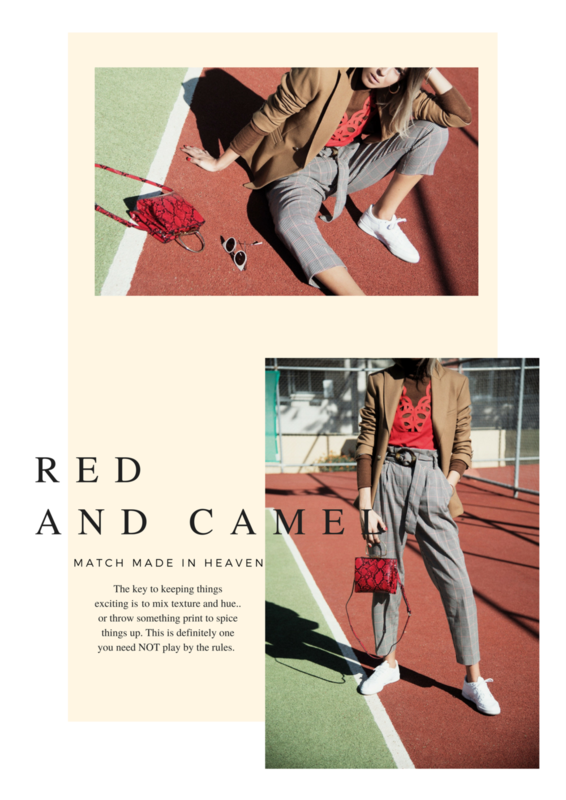 The brand invited me to style three of their new collection pieces - I chose something red (you all know I have got deep feelings for red) , my must-have piece for mastering the art of hi-lows and some metallics game strong. Read along. Unless you have been living under a rock, then you know that red is da sh*t this season. Either you go red-to-toe, colour block it or add it as an accessory, red is your way to go if you want to be far and wide ahead of your game. Miuccia, Donatella, Fendi, MaxMara and Givenchy were only some of the many who joined the bandwagon. Asymmetric and artful options, head to toe looks, oversized coats, silky dresses or playful accessories - red was the king on all Fall FW. They say - three is a trend - then what do you call dis? I had a few slices of the pie, quite a few times myself - proof is in the pudding - here or here! all my tears have been used up - la la la! ), red with camel - j'adore. Tartan to spice it a bit up, white sneaks to balance the act and gold jewellery for the top up. Metallics are here for good! The optimism and high shine of the Space Age have proliferated and electrified the catwalks this Fall. Saint Laurent’s, DON Vaccarello majestically took us back to Studio 54 and Chanel, Dries, LOEWE and JW Anderson amongst others are saying this new year will definitely be a shiny one. Needless to say much about Paco (Rabanne that is) and their trademark chain mail in silver and gold - l'obsession. Well I am ready for liftoff. As for me; I usually have two options when it comes to metallic outfitting. I either like to tone it down with some denim (or any other sporty-ish fabric) and pair with bright colours or go with all metallics everything. The sweatshirt - I currently count 11 hoodies and 4 of them are black. I guess I can call it a wardrobe staple pour moi? I am head over heels for pieces that combine comfort and style and this is one of them. An outfit transformer as it can be paired and layered with oh - so many looks. It has taken me to meetings, dinners and even on a date. 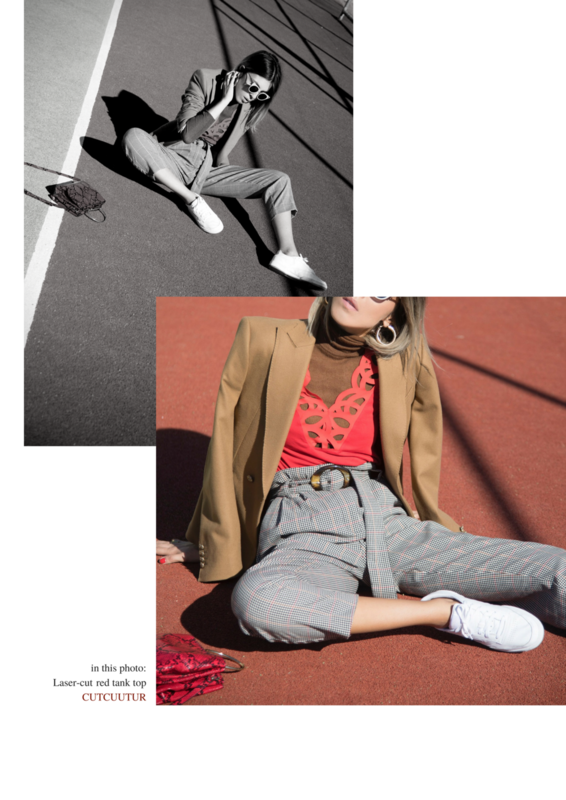 Love wearing them with my metallic skirts or pants to tone the look down and make it day-appropriate and I won't deny loving me some athleisure action with a good tracksuit pair (always upgraded with a fur jacket or a statement bag, of course. *winks). The art of high lows someone said?